Browse: Home /	Community Building, Community Gardens, Events, Food, URBAN FARM & GARDEN / Herbal Workshop series finishes on August 28! From the moment we enter this world we are greeted by the beauty of its light, and its harshness. Our skin and our spirit are bombarded by love and possibility, just as they are faced with injustice and violence. In this workshop we will explore ways to soften the sharp edge of traumas we have experienced, and those that we live through our families and communities. We will begin to discuss how herbs can help us to manage the way our bodies respond to trauma both past and present. We will explore herbs, herbal preparations, and herbal meditations that can help to calm our minds, stop a racing heart, and bring ourselves back into our bodies, as well as those that can nourish our body/mind/spirit to help strengthen our resilience. 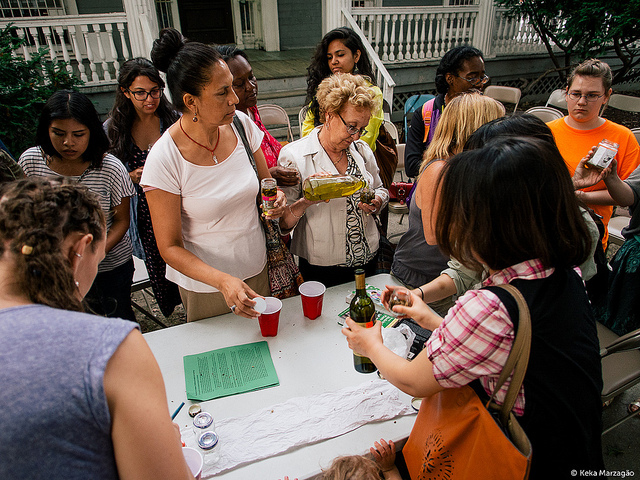 Please RSVP to sheryll@sustainableflatbush.org, so that we have enough materials for everyone.